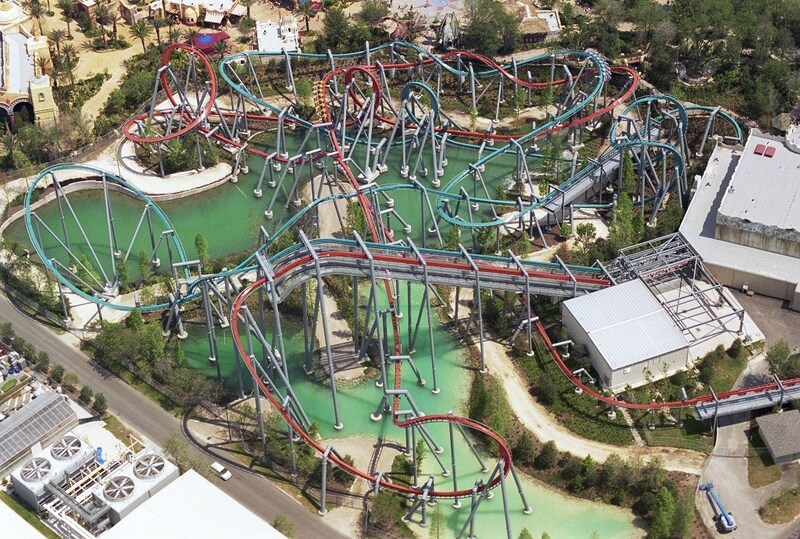 It’s hard to talk about Islands of Adventure without talking about Dragon Challenge/Dueling Dragons. For many, it’s hard to enjoy the park at times. It’s hard to love the park anymore. 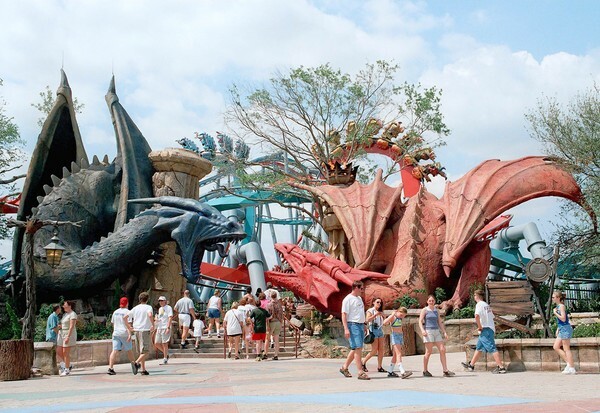 It’s hard to feel the way one felt in 1999 about Islands of Adventure – no number of new coasters that can give back what losing Dragons took away. Dragons was too good for this world, and so it’s returned to the ether. A 1999 Dueling Dragons was impressive to say the least. 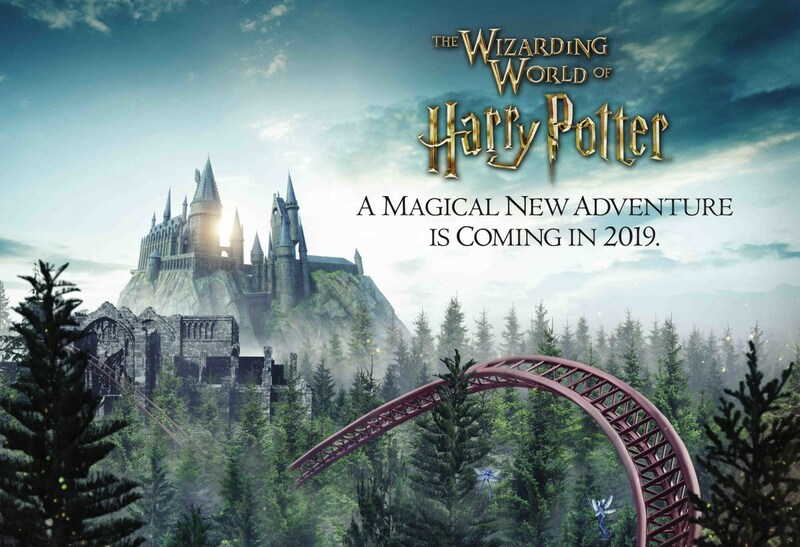 It was, without exaggeration, the world’s highest-capacity thrill attraction, the world’s most breathtaking queue experience, and the world’s greatest dueling roller coasters. Everybody who loved roller coasters worshiped this attraction, and unwaveringly praised Universal for bringing it to life. The truth is, however, that Dueling Dragons just wasn’t a very good idea – an amazing idea to be sure, but probably one that shouldn’t have made it past the concept stage. 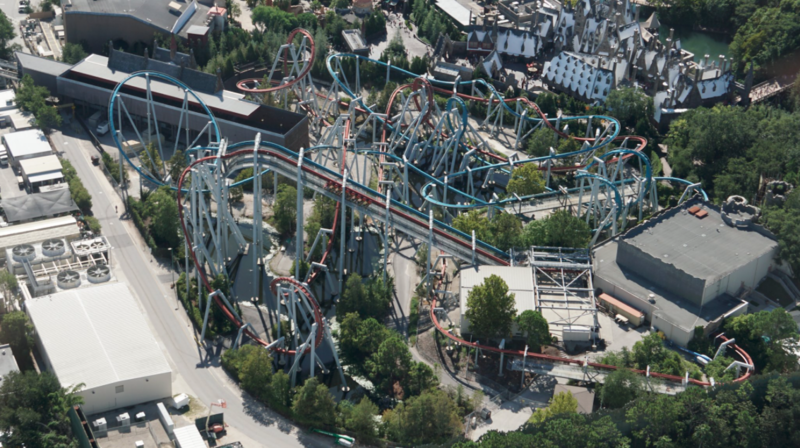 There were a number of factors working against Dueling Dragons from day one, and new challenges arose as the years went on. On a fiscal level, three (relatively) narrow-appeal Bolliger and Mabillard coasters did not need to open in the same year – even two would be an over speculation of forecasted attendance. Crowds at Islands of Adventure grew steadily despite internal and external setbacks, but the numbers were far from where they needed to be in the park’s first 10 years to justify the costs of opening 3 B&Ms simultaneously, especially with two of them being virtually the same from a consumer perspective. Ironically, Dragons came into its own just as some of its strongest qualities were sacrificed: the bottomless-pit capacity of Dragon Challenge played a major role in managing the staggering initial patronage of The Wizarding World. The next big blow to Dragons was the loss of the dueling aspect, which, for many, was the practical death of the attraction; Dueling Dragons without the dueling was sheer disappointment (Disappointing Dragons, if you will). Universal cannot be held responsible for the loss of this, the attraction’s best quality; rather, “loose article culture” is to blame. People are asked to leave things in lockers. People disobey this request. Things fall out of pockets (or get deliberately thrown). People get hurt. Privileges are lost. 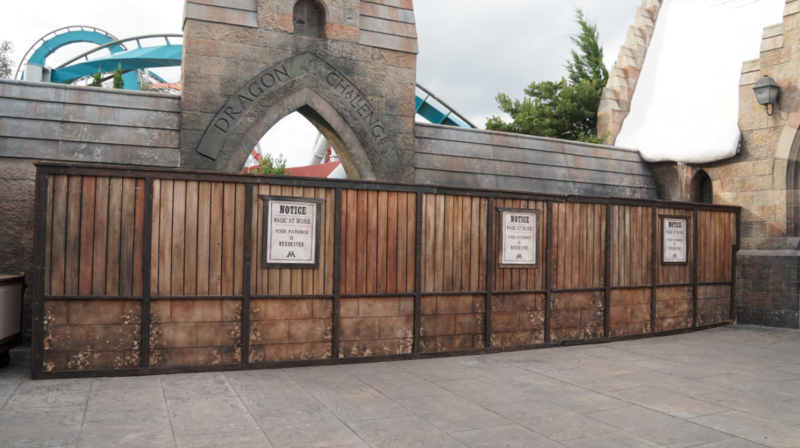 Even Universal’s dramatic response to the loose article problem (the metal detectors are a necessary evil) wasn’t enough to save Dragons – many hoped that getting the loose articles under control would save the dueling aspect (thus saving the attraction), but other issues continued to mount. It is said that J.K. Rowling wasn’t a fan of Dragons; while this isn’t necessarily confirmed, it’s not hard to believe. 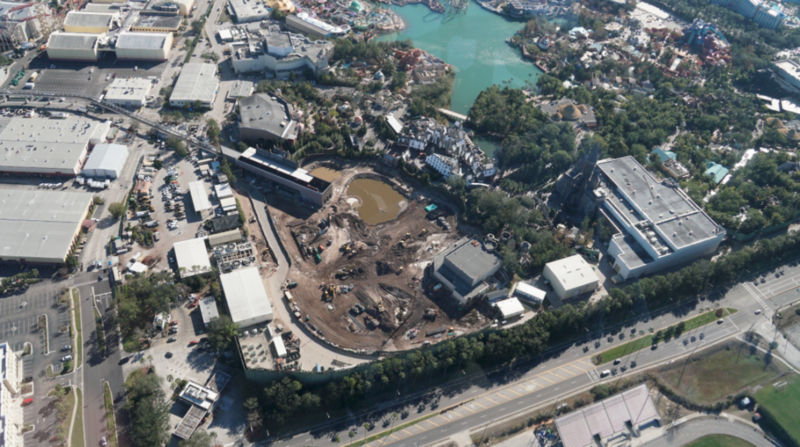 An issue that long haunted Dragons was sight lines – unobstructed views of the Universal’s inner workings behind The Lost Continent, as well as well beyond the park perimeter and out into Southwest Orlando. 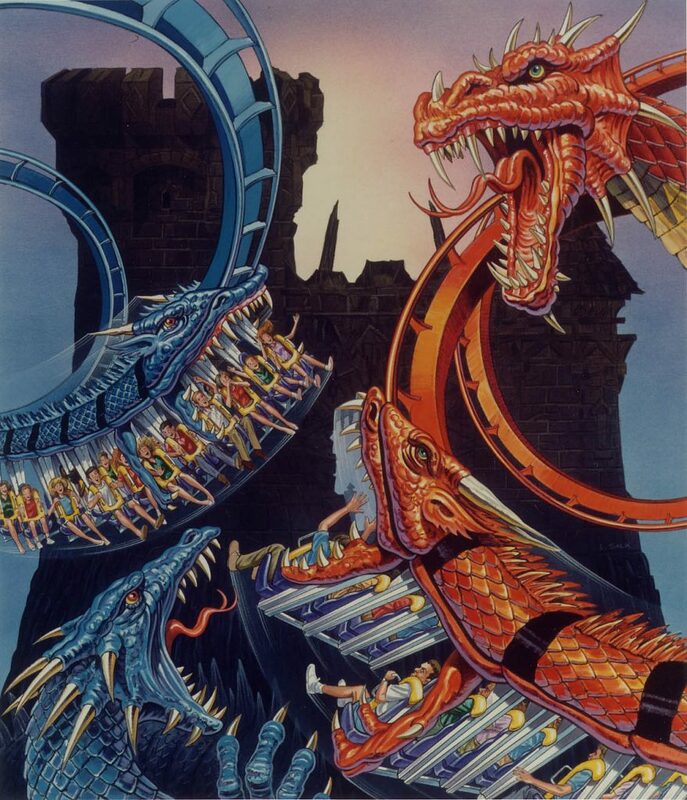 This was always a detractor for Dueling Dragons, but a victimless crime at the time – once the world’s hottest IP was tethered to the coasters, however, updated standards were set. Dragons was probably dead-on-arrival when Harry Potter moved in, but the ride’s reputation for endless capacity provided a new (yet finite) lease on life. When dueling stopped, a case for the attraction’s functionality was hard to make, and when Diagon Alley opened, the capacity was once again unnecessary. From 2014 on, Dragons was essentially on hospice – its land and location was far too priceless for a ride that wasn’t tailored for the Wizarding World. Even with an all-but-exhausted volume of source material to wrap around a 3rd chapter in Universal’s Potterverse, numerous alternative concepts were apparent when addressing Dragons. It goes without saying that the 2017 resolution of Dragons was a shock for many, but for those who looked closely enough at the Dragons saga to read between the lines, “shock” just isn’t the word. Dragons is gone, but life goes on. An impressive composite dark ride / launch coaster is opening soon (hopefully). People are as excited about it as they can be, but nobody seems to be as excited as they’d like to be. 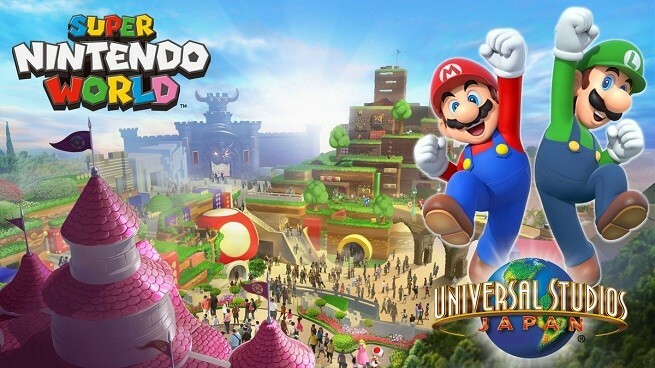 Universal’s marketing of the attraction (or lack thereof) leaves more questions than answers. While this nearly-complete coaster is the physical successor of Dragons, a spiritual successor is now in progress in Jurassic Park. A looping, multi-launch coaster in the tradition of Hulk is on the way – one that could easily cement IOA’s status as the Launch Coaster Capital of the World. It’s safe to expect the coaster to serve as promotion for the 3rd Jurassic World installment in 2021. 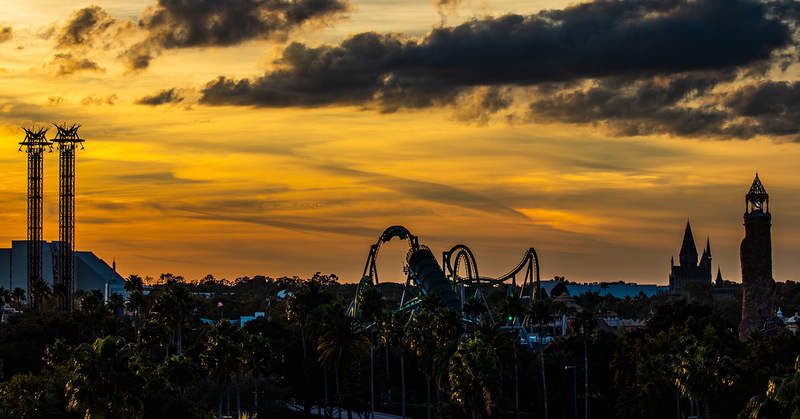 For almost 20 years, IOA was “the new park” in Orlando. Depending on who you ask it still is, despite the 2017 opening of Universal’s Volcano Bay “Water Theme Park” (Universal, like Sea World, markets the water park as their third gate, whereas Disney is content to regard their water parks as glorified hotel pools). 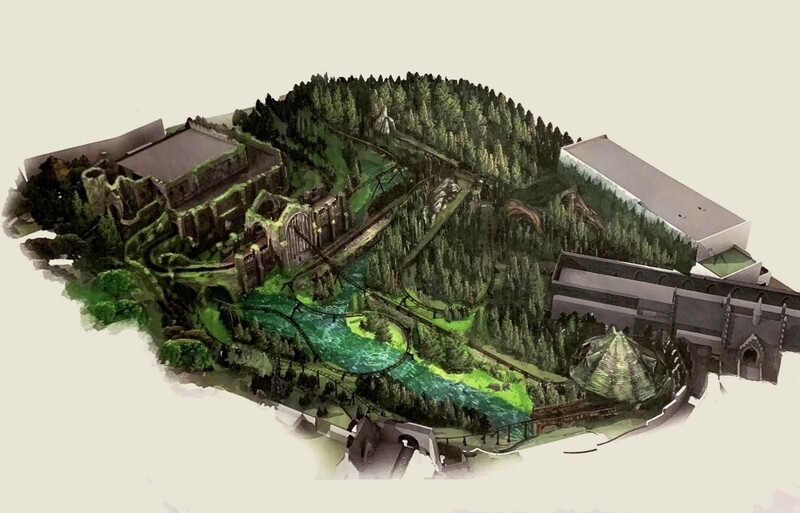 A third “real” park is on the way, with anticipated suspects (Fantastic Beasts, Dreamworks, Nintendo) and surprises in tow. City Walk continues to enjoy gradual metamorphosis, as does the resort’s collection of onsite hotels. Cardinal luxury hotels Royal Pacific, Portafino Bay, and Hard Rock now rub shoulders with Sapphire Falls (another luxury property), and the sprawling Cabana Bay and sophisticated Aventura Hotel offer moderately-priced lodging. Endless Summer Resort (composed of Surfside Inn (2019) and Dockside Inn(2020)) is Universal’s dive into low-cost rooms, and is the first foray into the resort’s land acquisition east of Interstate 4. These new hotels sit on the land formerly occupied by Wet ‘n’ Wild Orlando, and will be in a desirable proximity to all of Universal Orlando’s projected expansion. With sights set on a total resort area that rivals Walt Disney World in size, Universal’s ambition is not unlike where it was in 1999. Islands of Adventure’s attendance may someday be eclipsed by Universal’s next park, but its place in the world’s theme park timeline will remain unmatched. Here’s to another 20 years!